When we have a birthday party here at our house, we make cupcakes! 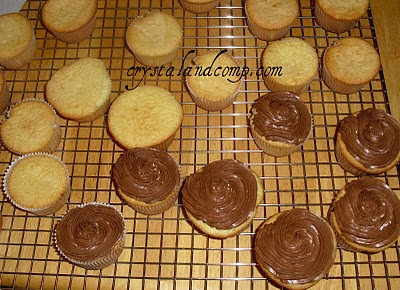 One of my favorite ways to top a homemade cupcake is with homemade chocolate buttercream icing! 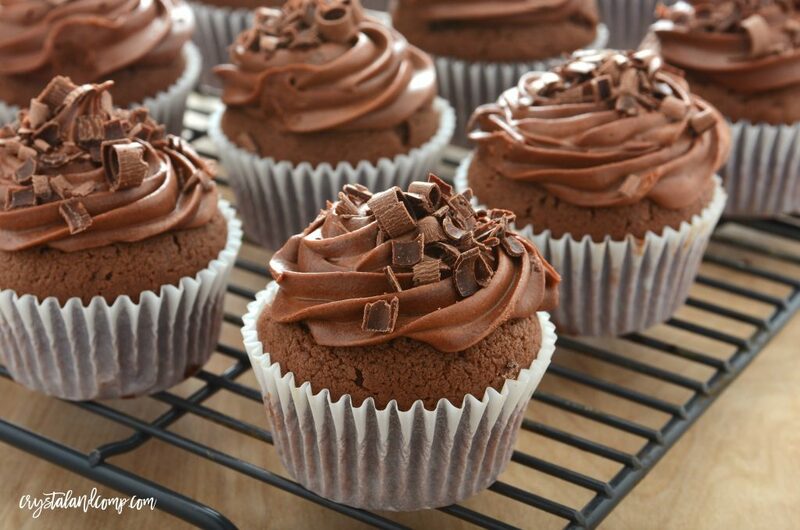 This is the most perfect chocolate buttercream frosting you will ever devour. It is amazing on a cupcake for any birthday. You will not believe how easy it is to make. A few years ago my mother-in-law gave me a copy of The Cupcake Doctor, a cookbook with endless cupcake recipes and super fun ideas. This recipe comes straight from that cookbook. First cream your butter. I like to use a large stand alone mixer, but you can use a hand mixer. Then, add the cocoa and chocolate syrup. Continue mixing. Add the powdered sugar one cup at a time. Add the milk and vanilla. Continue mixing until well blended. 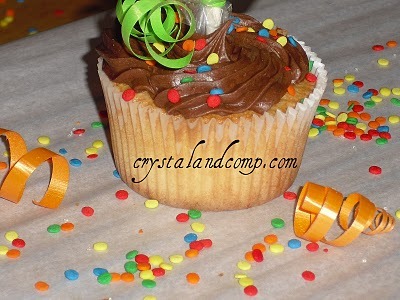 Pipe the icing onto the cupcakes and top with confetti or desired decorations. Display them on a cute cupcake stand like these. Or, if you’re transporting them, I have a couple of these. 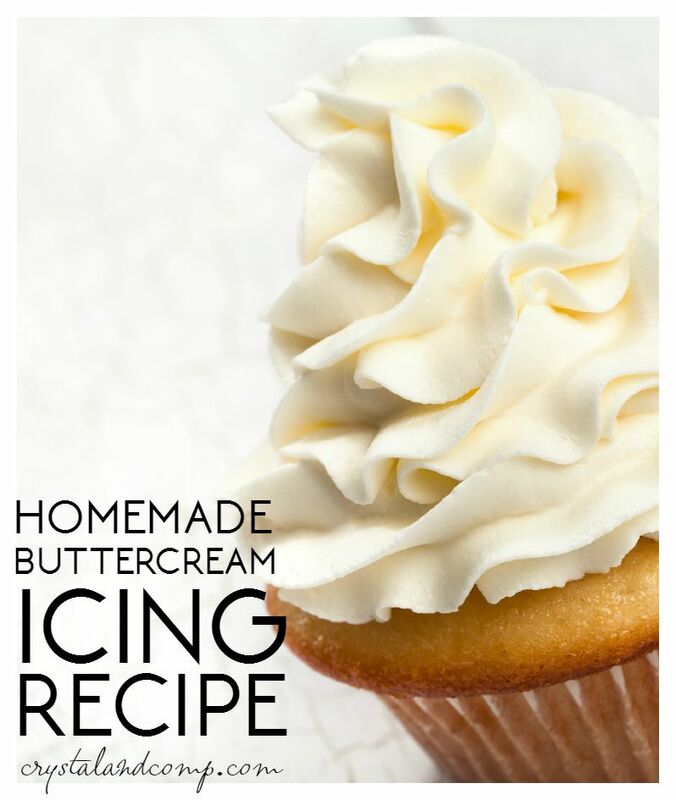 This icing is perfect for cakes and cupcakes that you’re making for birthday parties, baby showers, parties, etc. I generally work the day before one of our kid’s birthday parities, and make the cake or cupcakes. 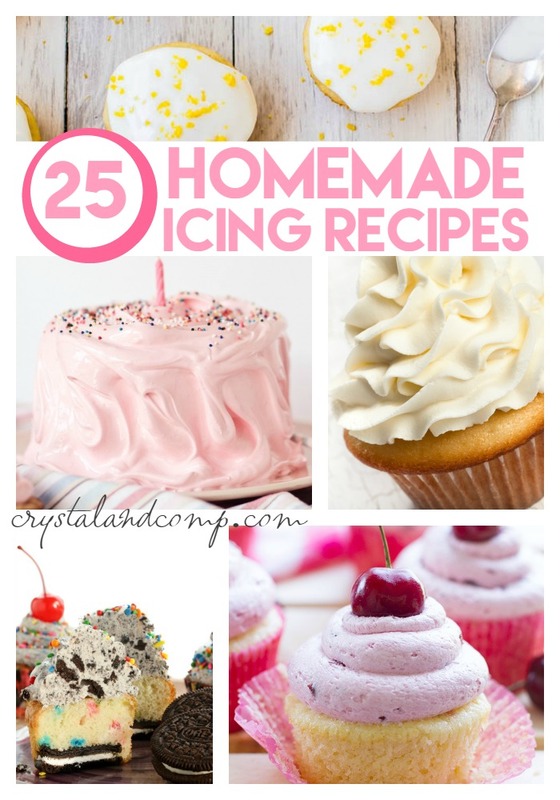 I always start with making the icing first and pop it in the fridge until I am ready to use it. Personally, I do a lot of shopping online. Especially my grocery shopping and even cake and icing ingredients. Have you given Walmart online grocery shopping a try? It is free. You order online and choose your time slot you want to pickup. In some cases you can pick up the same day. I usually choose next day. If it’s your first time to place an order you get a $10 credit if you use my link. this sounds so delicious! I never would ahve thought of using chocolate syrup. Thanks for the recipe. I've been looking for a chocolate buttercream recipe. Thanks so much for posting. 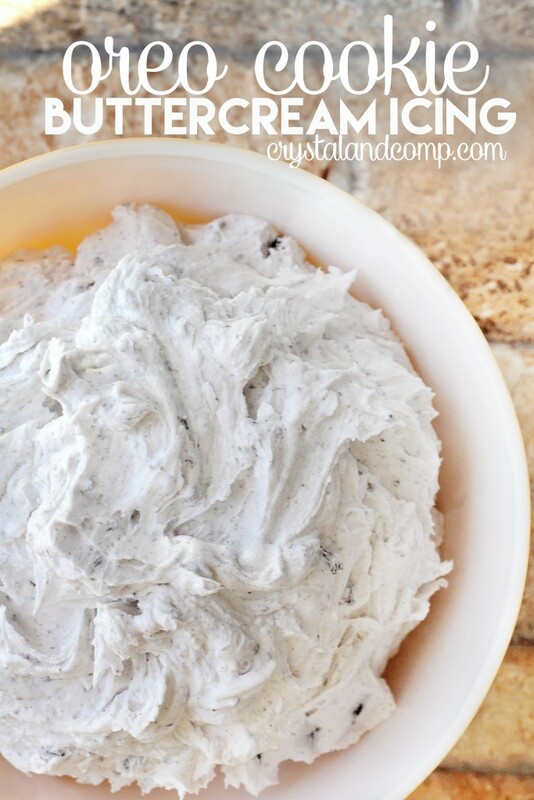 I have eaten this frosting and it is amazing!! Delish! Thank you for sharing the recipe! I love chocolate and these look quite delicious! 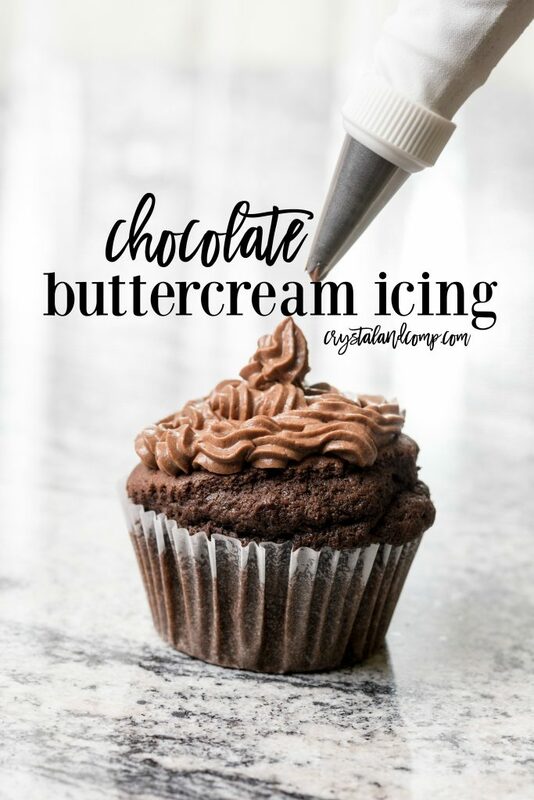 I think that is the first frosting I have seen that uses chocolate syrup. I imagine it makes it extra chocolatey and rich. Mmmm, chocolate syrup! Your cupcakes are so pretty too. This recipe looks really good! It would be great if you came over to Cast Party Wednesday tomorrow and shared some of your recipes.